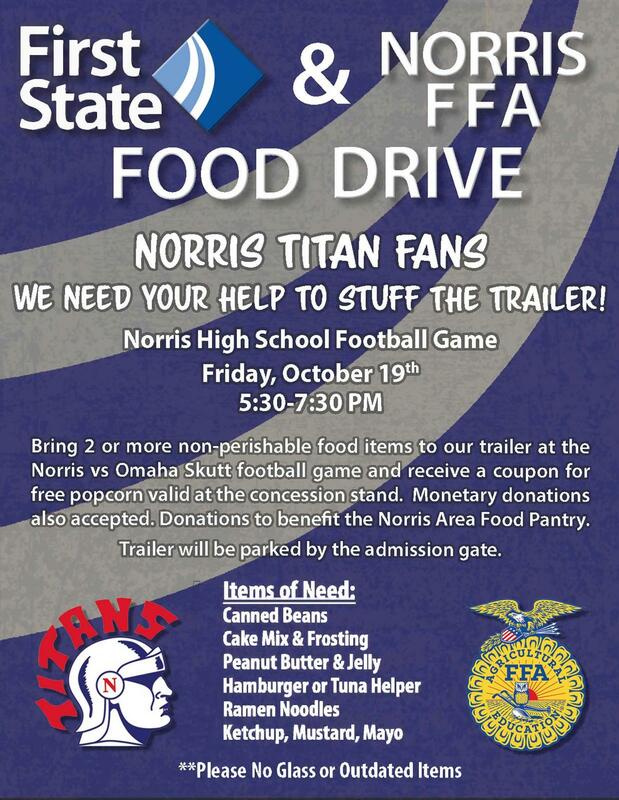 Bring 2 or more non-perishable food items to our trailer at the Norris vs Omaha Skutt football game and receive a coupon for free popcorn valid at the concession stand. Monetary donations also accepted. Donations to be made to the Norris Area Food Pantry. Trailer will be parked by the admission gate.